Multi-award winning trio Monsieur Doumani was formed in 2011 in Nicosia, Cyprus, by Antonis Antoniou (tzouras, a bouzouki-like instrument), Angelos Ionas (guitar) and Demetris Yiasemides (trombone, flute). The band sing in a Cypriot-Greek dialect and draws equal inspiration from the Cypriot traditional music, reflecting the history of both Greek and Turkish influences, in addition to the multitude of sounds and rhythms endemic to the global music community. The band has released three studio albums which gained them a level of international success that no other local band of its kind has managed before. Their latest album, entitled with the symbolic name Angathin (2018) – meaning ‘thorn’ – , addresses the sociopolitical and activist concerns of the band members. Just like the previous two albums (and especially Sikoses from 2015), Angathin has received international praise. It was number one in the Transglobal World Music Chart and in the World Music Charts Europe, and was given the title of Top of the World album by British magazine Songlines. Also it has received the prestigious German Records Critics’ Award in the category of World Music. 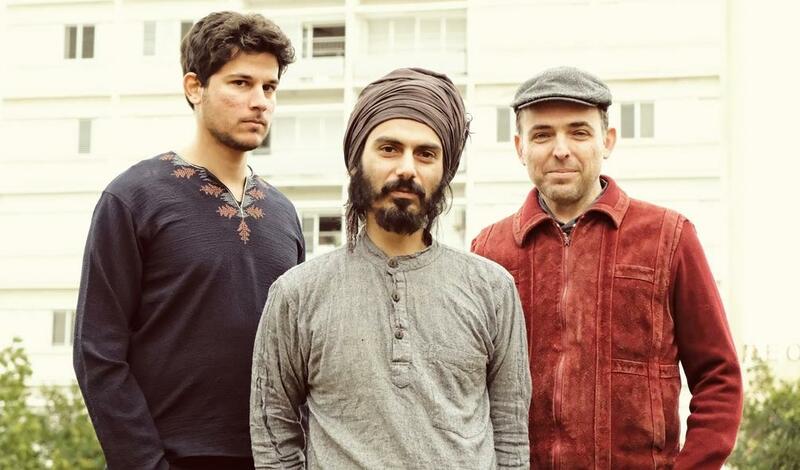 Monsieur Doumani’s sound is eclectic and richly textured, entertaining and culturally colorful, combining gypsy swing, Balkan brass and blues guitar. Most importantly, it’s not a cheap mix of global music elements but rather a result of skillful contemporary world at its best.